Step2. In the first box, set the quantity and the product that you want to offer. 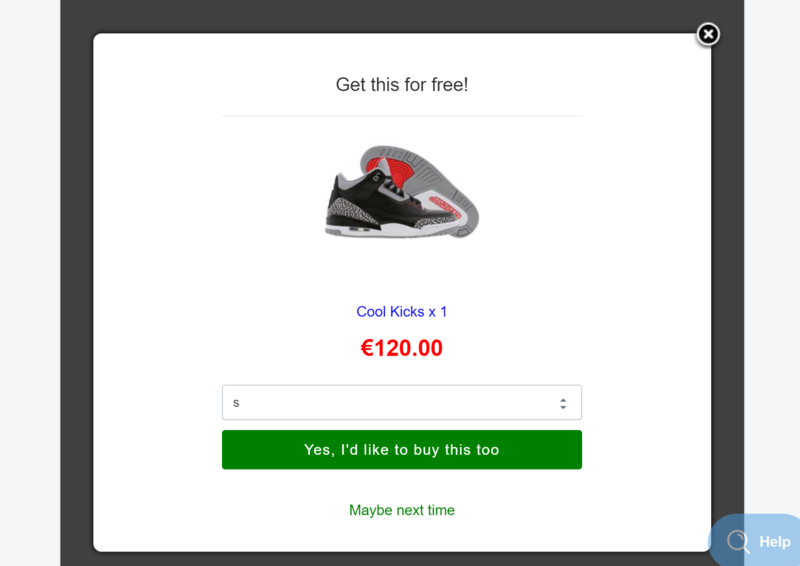 In this example, we want to offer a pair of Cool Kicks shoes. Step3. 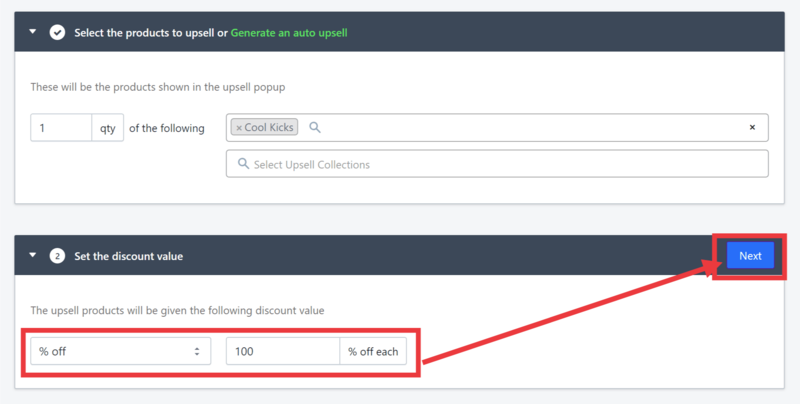 In the second box, set the discount value to % off and put in 100 in the field provided, then click Next. Step4. In the third box, set the triggering product and its quantity, and then click Done. In this example, we place five pairs of Old School Kicks. 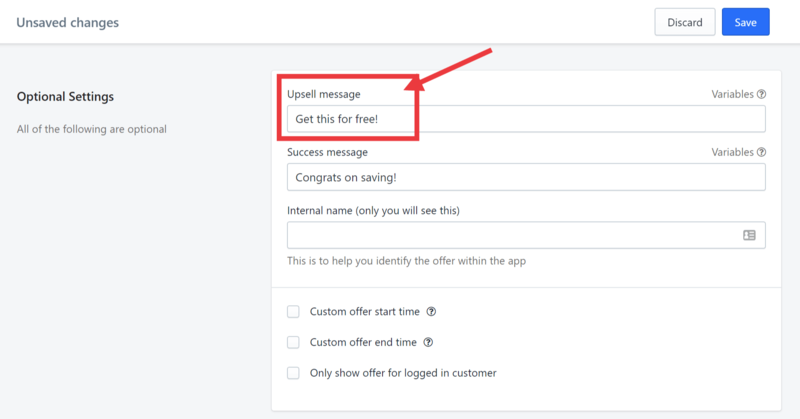 Now since this item is free and not a discounted offer, you need to set the appropriate Upsell message. Step5. Scroll down to the Optional Settings section and change the Upsell message. In this example, let's put in Get this for free! Your upsell offer will now appear like this when the customer meets the quantity requirement. If you still need help, click Contact Us below.